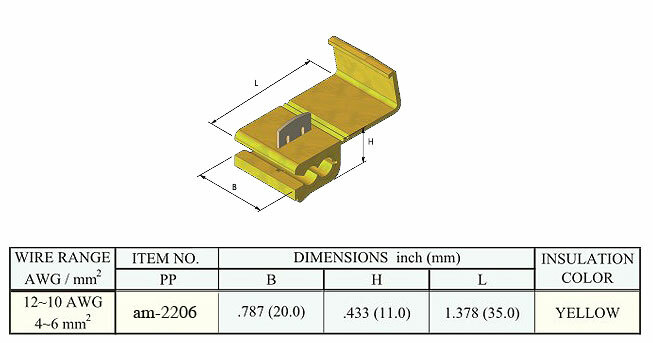 Connector, Quick Splice, 12-10 AWG, Yellow, Qty 10 - AndyMark Inc. This is a 12 gauge quick splice connector to enable efficient wiring of your robot. This connector allows for two wires to be quickly spliced together. Ten (10) pieces are included in this part, packed in a baggie.